The FCC’s seemingly interminable 5G spectrum auctioning process has dragged on for months, as carriers have bid for region-specific licenses to transmit on 28GHz or 24GHz millimeter wave frequencies. Having already locked in $1.988 billion in 24GHz spectrum bids, the agency announced that it will begin the auction’s “assignment phase” on May 3, upping the government’s proceeds as prior “clock phase” winners fight over the specific 24GHz frequency blocks they prefer. After 91 rounds of initial bidding spread across just over a month, the FCC has allocated 99.8% of available 24GHz licenses — 2,904 of 2,909. As compared with its 28GHz predecessor, which wrapped in late January, the second auction generated nearly three times the revenue despite receiving roughly half as many bids. The FCC’s auction process was designed to give rural service providers and small businesses the opportunity to bid aggressively against larger carriers, including 15-25% discounts for qualified small bidders. But top U.S. carriers AT&T, T-Mobile, and Verizon unsurprisingly registered for the auction, as did cable companies Cox and Frontier. At the end of this auction, multiple U.S. carriers will hold 10-year licenses to transmit 5G signals on some of the highest-bandwidth frequencies yet offered in the United States, enabling further expansion of millimeter wave “small cells” throughout the country. Winning 24GHz and 28GHz bidders won’t be publicly identified until after the 24GHz auction concludes. The FCC has said that it will auction additional blocks of 37GHz, 39GHz, and 47GHz millimeter wave spectrum starting December 10, 2019. However, those even higher frequencies likely wouldn’t come into wide use until 2020 — apart from AT&T, which already holds some 39GHz spectrum licenses. While this series of auctions will even more firmly establish the United States’ lead in high-frequency 5G spectrum allocation, it leaves an equally if not more important concern unresolved: the country’s modest availability of mid-frequency 5G spectrum. Some industry groups have called for the FCC to commence “sub-6GHz” auctions of 3.5-3.7GHz and 3.7-4.2GHz spectrum, enabling second-generation U.S. 5G devices to operate on the same mid-band frequencies as first-generation 5G devices planned for sale in parts of Asia and Europe. Amazon and Google have announced an end to a longstanding feud today, as the duo revealed that their respective services will be made available on each other’s platforms. Over the next few months, Amazon’s range of Fire TV devices — including set-top boxes, sticks, and smart TVs — will get their very own official YouTube app. Later in the year, the separate YouTube TV and YouTube Kids apps will also be made available on these devices. It’s worth noting here that no mention is made of support for Amazon’s Echo Show, which Google started blocking YouTube access on alongside Fire TV back in 2017, though Amazon eventually found a workaround of sorts. While Amazon and Google both began life as completely different propositions — one an online bookstore, the other a search engine — their paths have converged, as both expanded into all manner of services including cloud computing, voice-activated digital assistants, phones and tablets, video-streaming services, and more. This is the root cause of the recent disputes between the two firms, with Amazon kicking Google’s media-streaming hardware Chromecast off its retail website in 2015, alongside Apple TV. Both these devices compete with Amazon’s Fire TV, while neither of these devices featured Amazon’s Prime TV streaming service — however, Amazon and Apple kissed and made up back in 2017. A few months back, Amazon started selling Chromecast again, which laid the foundation for today’s announcement. Indeed, the Prime Video app will soon be compatible with all Chromecast-enabled devices, meaning that Prime Video users won’t have to buy a dedicated Fire TV stick or hope that their smart TV has a built-in Prime Video app — they can beam their videos directly to the big screen through Chromecast. Additionally, Prime Video will also be made available on Android TV devices, bringing Google’s TV platform into line with other TV operating systems such as Samsung, which already offers the Prime Video app. This partnership is a long-time coming, and it goes a long way toward removing customers from the crossfire of two of the world’s biggest technology competitors. For centuries, mountains and lakes posed massive problems for engineers. In both cases, they make travel nearly impossible and can make trips longer by days or months to bypass obstacles. 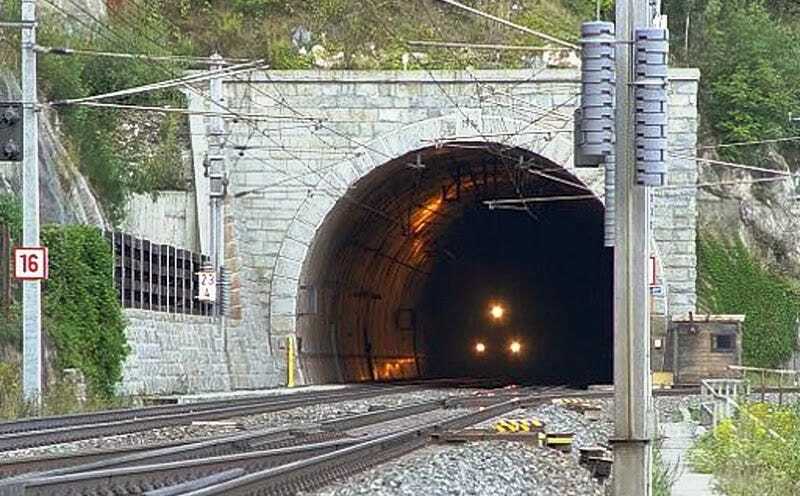 However, with the invention of Marc Isambard Brunel and Thomas Cochrane's invention of the tunneling shield in the 19th century, that all began to change. 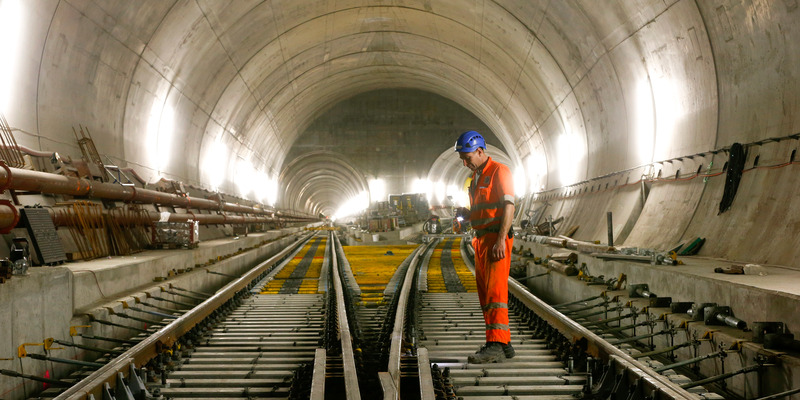 Tunnels could go deeper — underwater through bedrock — allowing for quicker travel times. 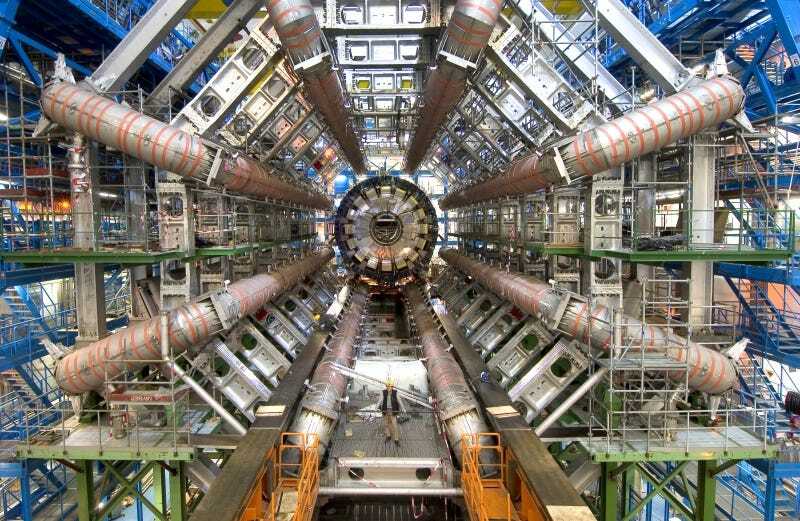 Perhaps the most interesting tunnel on this list, the Large Electron-Positron collider tunnel is the only one on the list you'd have some trouble trying to travel through. Built in 1988, the tunnel at CERN's complex on the Franco-Swiss border has been the home to several particle accelerators used by nuclear researchers at the center. This portion of the Tube's Northern Line is still the United Kingdom's longest railway tunnel. Despite the exclusions of many other metro tunnels on this list, this portion makes the cut because the entire length was bored through solid rock beneath London's streets. Bruce Willis is selling his 11-bedroom Turks and Caicos compound for $33 million and it could shatter the area's real-estate record. Here's a look inside. Bruce Willis is selling his 11-bedroom Turks and Caicos compound for $33 million — and it could shatter the area's real-estate record. Here's a look inside. Bruce Willis' island mansion is on the market with an asking price of $33 million, according to Robb Report. 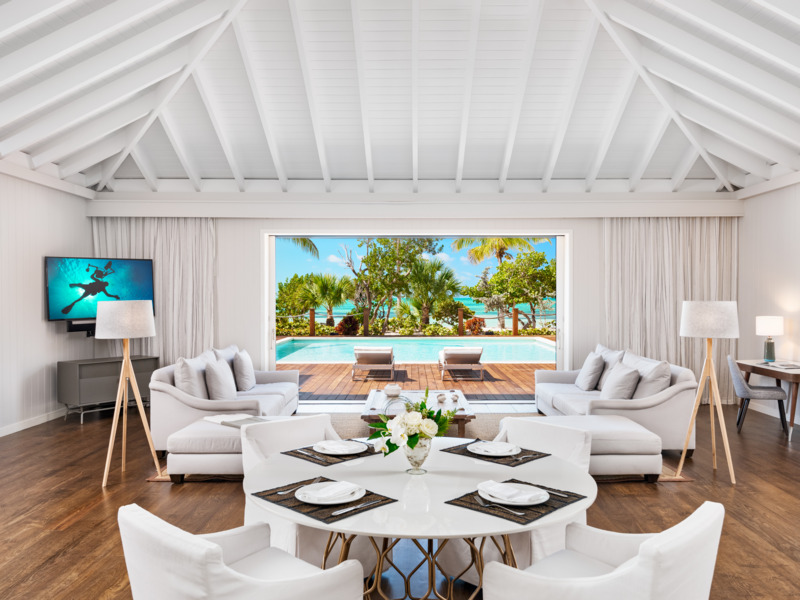 Located in Turks and Caicos, the estate features a five-bedroom mansion and two smaller guest villas. According to The Wall Street Journal, if the house sells for its asking price, it will break the record for the most expensive home sold on the islands. Bruce Willis is moving to California and selling another one of his private estates for $33 million. The Parrot Cay home is listed with Nina Siegenthaler of Sotheby's International Real Estate. 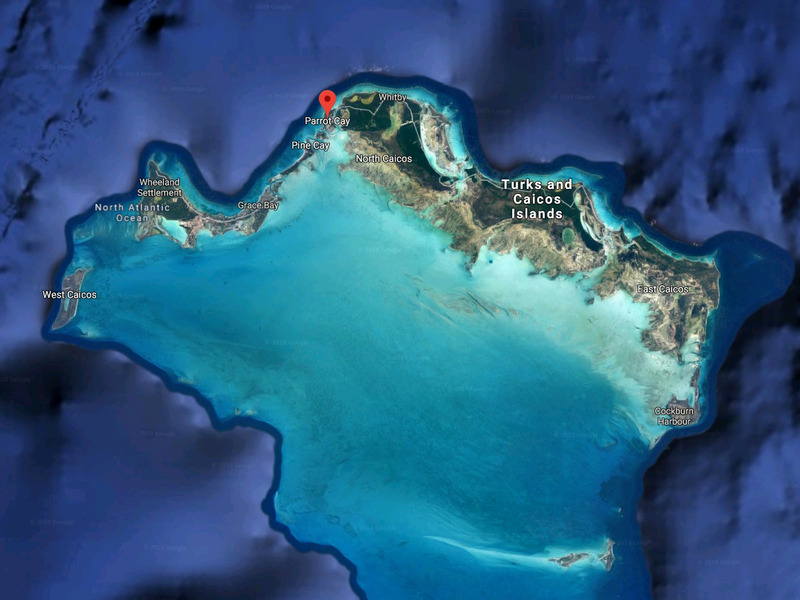 According to The Wall Street Journal, if the house sells for its asking price, it will break a record for the most expensive house on the Turks and Caicos islands. The record is currently held by a nearby property that sold for $27.5 million in 2016. The 11-bedroom, 13.5-bath estate joins the ranks of other celebrity homes hitting the market this year — such as a Beverly Hills mansion once owned by Jennifer Aniston and Brad Pitt — along with other potentially record-setting luxury houses. The Caribbean estate sits on nine acres of property and includes a five-bedroom main house along with two guest villas. It also has access to a private beach, a nearby resort, and an onsite pirate-themed playground. Keep reading for a complete look at the Parrot Cay residence. ... the home can be reached via a short flight from Miami, along with a 35-minute boat ride to reach the property. Known as "The Residence," the complex includes a main house with five bedrooms, along with two three-bedroom guest villas. NOW READ: 50 Cent's Connecticut mansion, once listed for $18.5 million, has finally sold at an 84% discount after 12 years. Here's what the 52-room house looks like. The National Weather Service warned of the "risk of severe thunderstorms" in southern and eastern US states on Thursday and Friday. 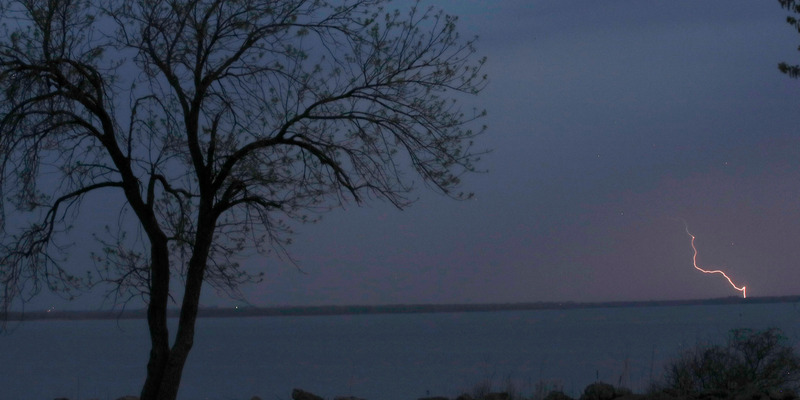 Earlier in the week the region was hit by storms and tornadoes that left eight people dead. Some areas are expected to see heavy rainfall causing flash floods, and "severe" thunderstorms are to hit areas near the Gulf of Mexico. An area of low pressure moving eastward is behind the weather warnings. Parts in the southeastern US hit by deadly storms last week are bracing on Thursday for even more tornadoes headed their way. The National Weather Service early Thursday warned of the "risk of severe thunderstorms and flash flooding from the Gulf Coast to the Ohio River Valley today." The bad weather is due to shift to the east coast on Friday. The cause of the storms is a low pressure weather system, moving east from the Mississippi Valley. It is expected to bring more than an inch of rainfall some many areas and "severe" thunderstorms to states on the Gulf Coast including Texas and Louisiana on Thursday. Florida and Virginia are due to be hit on Friday. "The thunderstorms and areas of heavy rain will also pose a risk for flash flooding over much of the eastern half of the US," officials said. The warned of flash floods Thursday in the Mississippi River Valley region, with the risk spreading to much of the US east coast on Friday. 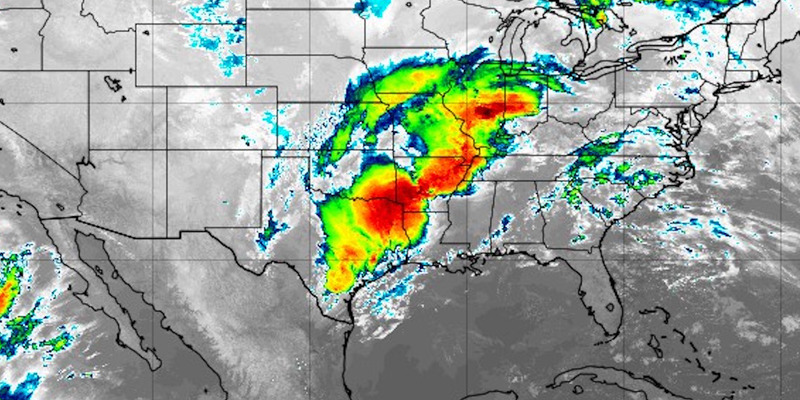 The NWS Storm Prediction Center warned of "severe storms" accompanied by the "risk for damaging wind gusts and a few tornadoes, some of which could become strong" across the Mississippi Valley and states of Texas, Louisiana, Mississippi, Alabama and Florida. 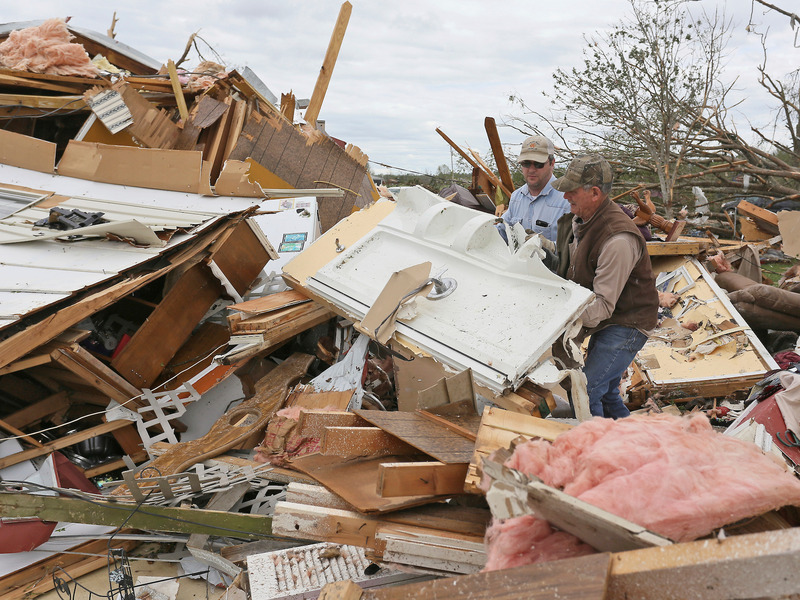 It comes after deadly storms swept across southern states on Sunday claiming eight lives in Texas, the Mississippi area and Louisiana. 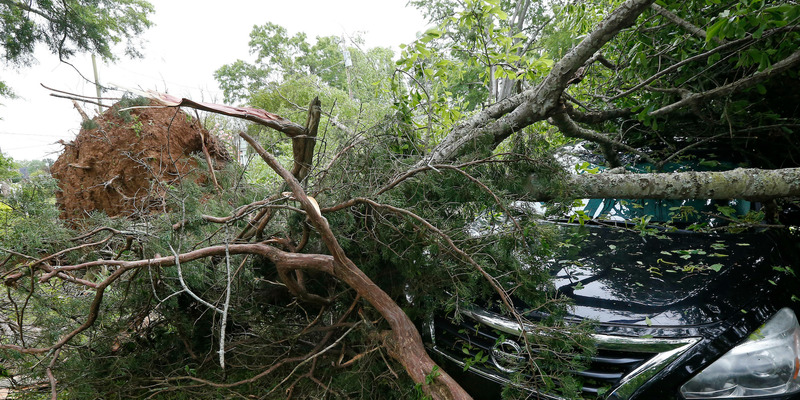 The death toll includes two children killed in Texas when a tree fell on their car. Several tornadoes had torn through the states, and storms also hit Ohio, South Carolina and Virginia on Monday. This is an excerpt from a story delivered exclusively to Business Insider Intelligence IoT Briefing subscribers. Semiconductor giant Intel announced that it will exit the 5G smartphone modem business to focus on its other lines of business, including the IoT as well as PCs, data center hardware, and networking infrastructure. This shift comes on the heels of Apple and Qualcomm agreeing to end all litigation between themselves. The two companies also set a licensing agreement that will see Qualcomm supply chipsets, including modems, for iPhones and other Apple products. Here's what it means: Intel had been working with Apple to supply the latter with modems for its upcoming smartphones, including potentially the first generation of 5G iPhones. But now Intel won't be entering the space at all, which has fueled speculation that the settlement between Apple and Qualcomm was made with the knowledge of (and in direct response to) Intel's decision. Intel hasn't provided much in the way of details or reasoning as to why it's exiting the mobile 5G modem market, but its past smartphone efforts as well as other mobile chipset offerings for devices such as tablets and mini-PCs were plagued by poor performance and, fatally, subpar battery life. The company hasn't been able to extend its dominance from the PC space into mobile, and while 5G could have offered it an opportunity to move into that sector, Intel is now going to devote its efforts elsewhere instead. The bigger picture: In minimizing its smartphone presence, Intel will be placing an even bigger bet on building revenue from the IoT, as well as from data centers and memory production, which could propel it into more of a leadership role in the IoT marketplace. The company has taken a number of steps to expand its IoT solutions — it worked with JD.com to develop a retail technology lab, for instance — and has been building the revenue base of its IoT unit fairly steadily in recent years, barring the most recent quarter when a business unit it sold off reduced inbound revenue slightly. Troublingly, though, Intel's IoT-adjacent revenue — from services that it supplies to support hardware deployments — has been trending downward for the past two reported quarters since it finalized the aforementioned sale. 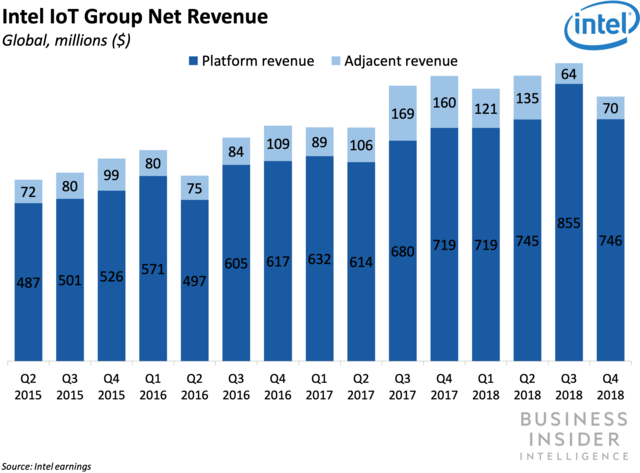 This had been a steadily growing segment for the company in recent years, but its revenues for these adjacent services have been roughly halved, falling to 2014 levels. Continuing to develop combined hardware-software solutions for IoT customers, especially those that are able to employ AI tools and take advantage of 5G networks, could help Intel to build on and maintain revenue even without moving into the 5G smartphone modem market. Zoom Video Communications is set to begin trading on the Nasdaq on Thursday. The video-conferencing company priced its initial public offering at $36 a share, raising that this week amid high demand. 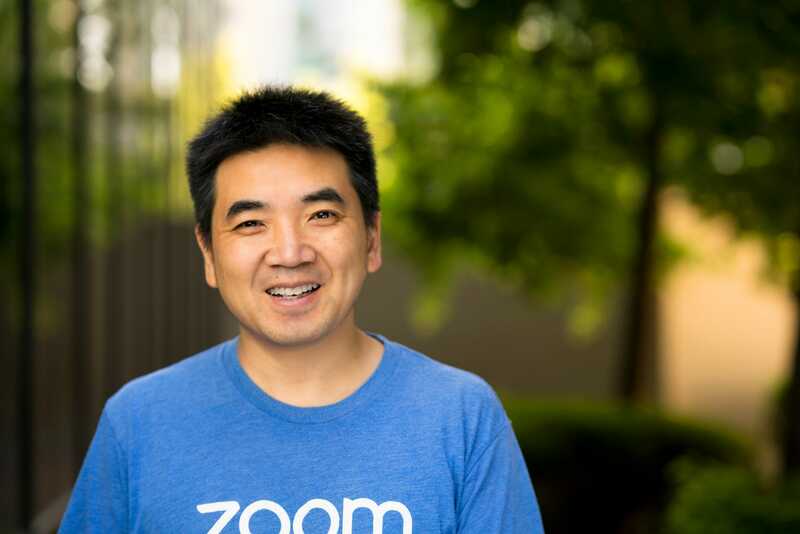 Setting it apart from other unicorns, or private companies worth more than $1 billion, Zoom is profitable. Visit MarketsInsider.com for more information about Zoom. Zoom Video Communications Inc. is set to begin trading on the Nasdaq on Thursday. The video conferencing-company priced the initial public offering at $36 a share. That would value its business at $9.2 billion, more than nine times its private valuation. Shares were expected to price between $33 and $35 apiece. Setting it apart from other unicorns, or private companies worth more than $1 billion, Zoom is profitable. A fast pace of growth has drawn attention to the eight-year old company, which was founded by Eric Yuan, the former vice president of engineering at the video-conferencing company WebEx. Another technology unicorn, digital image board company Pinterest, is set to debut Thursday. Ride-hailing giant Lyft was the first tech unicorn to enter public markets this year, but has struggled since its debut last month. Zoom's shares will trade under the ticker symbol ZM. Fortnite’s battle royale players can’t have all the fun. So for the upcoming Fortnite World Cup tournament in New York City, developer Epic Games announced a new competition: Fortnite World Cup Creative. It’s the largest competition from Epic centered around the game’s sandbox Creative mode. World Cup Creative will even have its own separate prize pool worth $3 million (in comparison, the battle royale portion is bigger at $30 million). To qualify, players must complete five trials that’ll run from April 29 to June 7 — each featuring a different game made in Creative — and submit their best video clips on YouTube while also using a specific hashtag. Epic said its Fortnite “captains” will then comb through the submissions and select the top 15 players to compete in the World Cup Creative in July. Popular Fortnite streamer Jack “Cizzorz” built the first trial and will also judge the participants when it goes live in a few weeks. The two World Cup tournaments are part of Epic’s ongoing effort to maintain Fortnite’s stratospheric popularity among players and influencers (it recently hit 250 million players). Fans can also purchase tickets to the New York event and earn in-game bonuses for attending. A new report from reliable Apple analyst Ming-Chi Kuo indicates the 2019 iPhones will have a super-wide-angle lens, like Samsung's Galaxy S10. The front-facing camera will also get an increase from 7-megapixels to 12-megapixels, the report says. Apple will reportedly coat the super-wide-angle camera and the selfie camera in black to make them less noticeable. One of the Galaxy S10's standout features is its ultra-wide-angle camera, which enables it to snap photos with a much wider field of view than most smartphones are capable of. Now, a new report provides further evidence that Apple may add a similar feature to two of the three Phones it's expected to release this year. 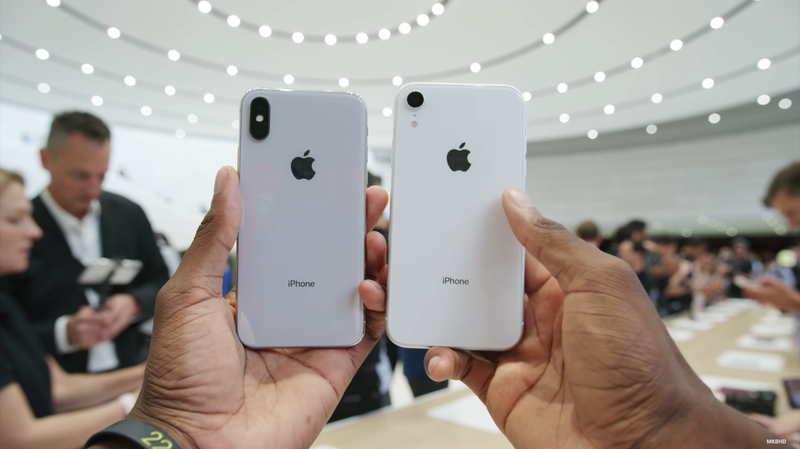 TF International Securities analyst Ming-Chi Kuo, who has made accurate predictions about Apple products in the past, recently wrote in a note to clients that the company's new 5.8-inch and 6.5-inch iPhones will have a 12-megapixel super-wide lens. Details of the note were published by Apple news blogs such as 9to5Mac, MacRumors, and Apple Insider on Thursday. That aligns with a previous story from Bloomberg, which in January reported that the new iPhone's third camera would enable it to capture a larger field of view and would have more sophisticated zooming capabilities. The triple camera system with the new super-wide lens is expected to arrive on Apple's iPhone XS and iPhone XS Max successors, while the company's new 6.1-inch iPhone XR sequel will reportedly have two cameras. The super-wide lens Kuo mentions sounds similar to the Galaxy S10's ultra-wide lens, which has a 16-megapixel sensor and a 123-degree field of view. That's noticeably wider than the Galaxy S10's standard camera, which has a 77-degree field of view. Although the new ultra-wide-angle camera is one of the Galaxy S10's headlining features, LG's smartphones have also included this feature since as far back as 2016. All three new iPhones will also get an improved front-facing camera that bumps the megapixel count up from seven to 12, according to Kuo. Apple is also reportedly planning to remedy the camera bump that's been present on its iPhones for generations by coating the super wide camera and the front camera in black so that they more seamlessly blend in with the iPhone's bezel. Other than an improved camera system, Apple's new iPhones are expected to have to reverse wireless charging and a new design with frosted glass. Wayne Jackson is a veteran tech entrepreneur who has overseen a billion-dollar sale and raised hundreds of millions in funding rounds. Jackson is currently the CEO of Sonatype, a software security firm, which raised $80 million last September. Speaking to Business Insider, Jackson revealed his four secrets to raising finance from investors. Wayne Jackson has sat through a lot of funding meetings. The CEO of software security firm Sonatype sold his original wireless infrastructure startup, Riverbed Technologies, for $1 billion in 2000; oversaw network security firm Sourcefire's $70 million IPO in 2007; and raised $80 million for Sonatype last September in a funding round led by TPG Capital. Although Sonatype does not publicly discuss its valuation, it has raised $154.7 million since it was founded in 2008. 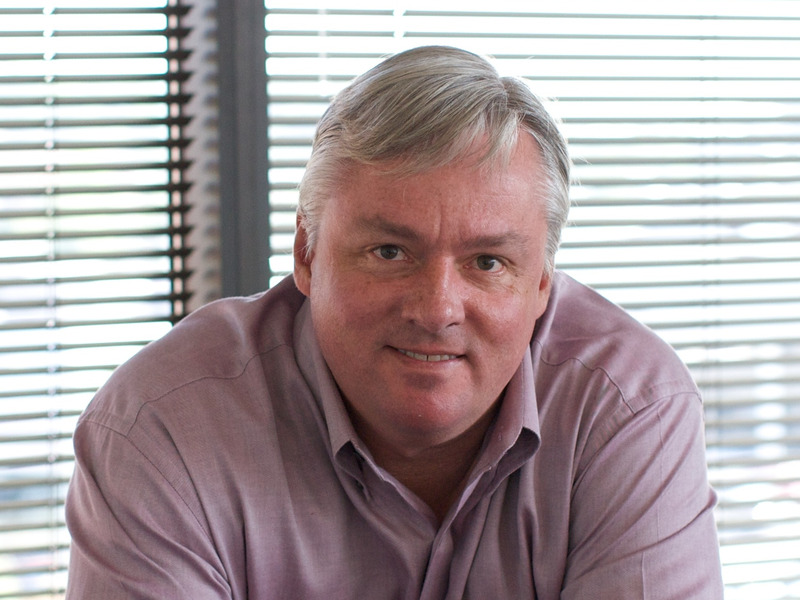 Jackson has served as CEO since 2010. Speaking to Business Insider, Jackson has previously said finding niche and superserving a specific market is important for a tech startup. It's an idea beloved by some of the most successful venture-capital investors in tech, who call it "product-market fit." Now, Jackson has shared some of his secrets on raising finance. We have collected them into four clear areas, with his advice edited lightly for clarity. Read on for Jackson's top tips for raising money. "What it takes to raise money as an entrepreneur depends to an absurd degree on prior experiences. You have so much to prove in terms of reliability, in terms of efficiency, in terms of gravitas. But, saying that, you don't need to be an entertainer to be an entrepreneur. "I'm not sure Bill Gates or or Steve Wozniak were the most engaging guys when they were 22. But what they were able to do is demonstrate a functional fulfilment of a need. "VCs can string you along — what they need to see is concrete proof of customer interest. Getting funding before you get customers to write you cheques is extremely tough, maybe impossible. "But as a CEO, the one thing I obsess over every day is what we're hearing from customers. Not just what they say on the face of things, but what they're really saying. As a CEO, you need to be empathetic and really listen." "You also need to reflect on the scope of your own authority. If a customer says 'can you sort this,' don't just blindly say yes because you're the CEO. Think about whether their request is necessarily something you can feasibly deal with." "You need to establish a number of high-quality relationships with investors and keep them informed – even when you don't need money, perhaps especially when you don't need money." "I hate to say it's easy for entrepreneurs who've delivered before, but it is. When I was raising for Sonatype, we had no real business plan, but I spoke to an investor I knew well at Goldman Sachs, well we decided to roll. If you can get to know and trust someone, fundraising doesn't need to be impossible. "I found people willing to spend time on Sonatype. Find people who are smarter than yourself who are willing to share their time and knowledge, and cultivate that time and knowledge. Really get to know people at a deep level. "Ideally, what a new entrepreneur should do is create a little bit of buying pressure between potential investors. So, use the momentum you develop with one angel to force other angels to invest." "I'm not sure anyone knows what the software security landscape will be like in 10 years. It used to be the case that no software was open-source — now it's 80-90%. You also have hackers infiltrating entire projects today by pretending to offer valid services — they're like the Trojan horse. That never used to be the case." "So don't be instinctively resistant to shifts in the tech landscape that can be reality-altering. It can be easy to get attached to one particular technology or one particular way of viewing technology, but you need to be adaptable and bend your views to match present-day reality. When the first Fords came along, many people clung to horses and carriages. "A mistake I'm inclined to make is to stay too faithful to specific technologies as opposed to bending it to serve the needs of the company or the direction of the market. "I have been interested in technology for its own sake since a young age; I have been developing software since my late teens. So I instinctively don't like bastardising my ideas. But you often have to do so if you want to gain investment. It's about striking the right balance between purism and pragmatism." "If you're going to found a tech startup, you have to go into it knowing that there are highs and lows. Investors invest based on your ability to deal with setbacks. "People think Sourcefire [a tech firm Jackson led through a successful IPO in 2007] was just a company that had it easy, but that couldn't be further from the truth. "When I was at Sourcefire, I read a report from [the consulting firm] Gartner, which proclaimed the intrusion detection industry to be dead. The report advised investors that they would be better off spending their money anywhere else. Naturally, intrusion detection was exactly what we specialised in. "First, we had our teenage tantrum — Gartner had just written off our entire enterprise. But after that, we said, ok, look, let's find out why Gartner think this. They're not idiots. We assessed their report and saw there was a reasonable logic to what they were saying. "Ultimately, what we did next was a classic example of the principle I mentioned earlier: we bent our ideals to meet market needs. Two years later, we were at the top of Gartner's index."